WITH FAITH, IT IS POSSIBLE TO NAVIGATE A WORLD TURNED UPSIDE DOWN. 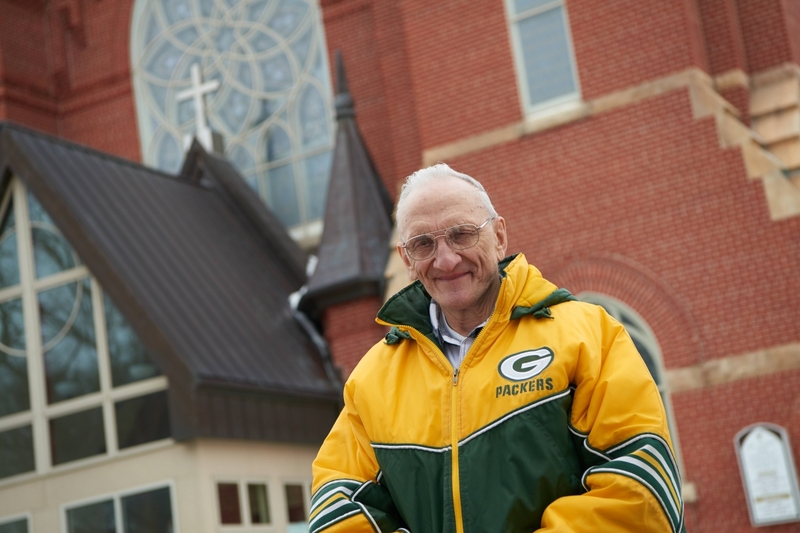 Harvey Smazel of St. John the Baptist Parish in Marshfield is a man of great faith. His life has always been simple, with his focus on God and his family. His world changed forever, though, on the feast of the Immaculate Conception in 2014 with the death of his beloved wife, Donna. For the past year Harvey has had to navigate a world without the woman with whom he shared his life every day. His faith in God keeps him steady, and the company of his daughter, Shari, is a blessing. As hard as it is to live without Donna, Harvey is thankful for the years they spent together where faith was such an important part of their marriage. Harvey still feels Donna’s presence with him every day. He and Shari know Donna is still watching over them and guiding them through their days. The Church was the center of Harvey and Donna’s life together. Their Catholic faith was very important to both of them. “My mother always believed in giving to the Church and my wife and I were always the same,” Harvey says. In 1973 St. John the Baptist was not only where Harvey and Donna went to celebrate Mass on the weekend, it became Harvey’s employer. He retired from there in 2001. He worked as a custodian and Donna worked by his side in the school. 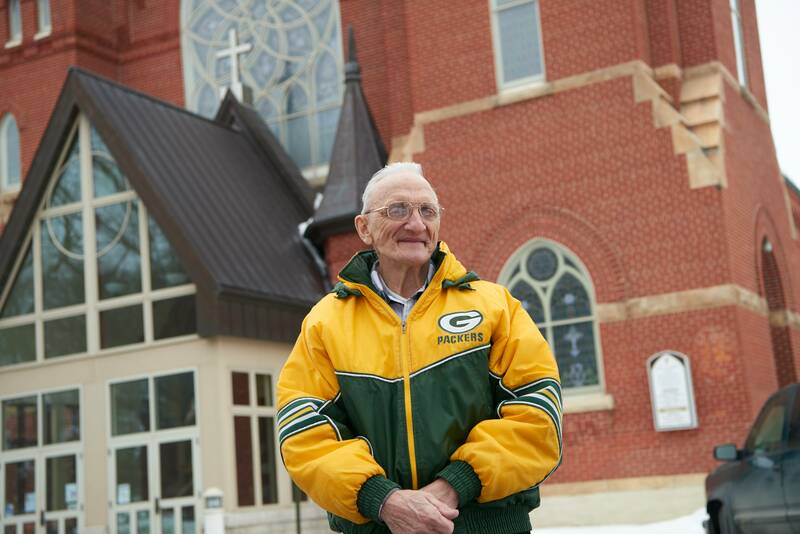 Harvey got the job after working as an usher, a position he still holds today at St. John the Baptist. “Everything came through the church,” says Harvey. The parish priests, staff and teachers became a second family for Harvey and Donna. He took care of the school like it was his own home, and Donna helped him every day. The summer after he started working in the parish, he and Donna painted 18 classrooms, just the two of them. Harvey was happy to help wherever there was a need. Snow removal and putting up and taking down storm windows were part of Harvey’s service to the parish. Beyond physical maintenance of the school, Harvey also looked out for the students. 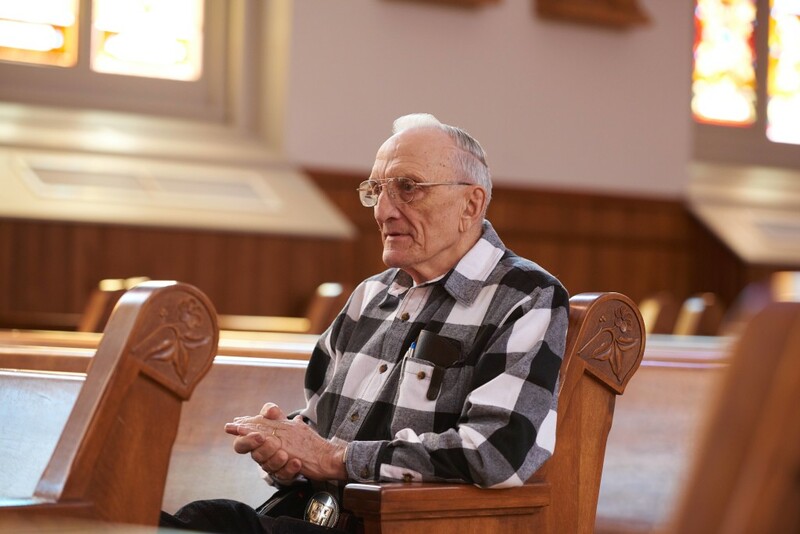 Harvey serves an active role at St. John the Baptist as an usher and extraordinary minister of holy Communion. Donna preferred worship from the pew, but was always proud and admiring of her husband’s participation in the Mass. Shari and Harvey continue the family Mass tradition, even with Donna’s absence. 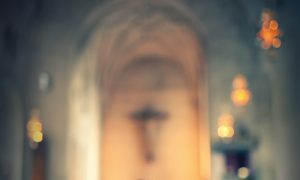 “On Saturday nights I usher, and Shari and I are eucharistic ministers,” Harvey says. Dancing was another important part of Harvey and Donna’s life together. They met at a dance, and spent the last decade polka dancing together. For their 50th wedding anniversary, they even had a polka band for the celebration. Donna’s cancer diagnosis stopped the dancing. The focus instead was on trying to get Donna better. During her hospital stay Harvey brought her Communion every day. The illness claimed her just three months after the diagnosis, but Donna was not afraid. Her faith was strong and helped Harvey get through the unexpected diagnosis. The days sometimes feel too long now for Harvey, but he takes comfort in the close relationship with Shari, and enjoys funny antics of the family cat and dog. He feels the love God has for him, and that keeps Harvey going. 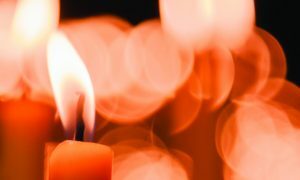 MINISTRY FOCUS: In times of grief, we need our faith, and we need consolation. 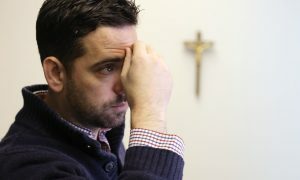 If you are grieving, please go to http://tinyurl.com/consolation1 to find out more about how the Diocese of La Crosse and the Church can help you.